We built a website based on WooCommerce, a leading WordPress-based eCommerce module. The improvement to usability, look and brand gave the company more confidence to drive sales online, and we saw dramatic increase in sales immediately after the site launch. Boileau Communications Management supported the project by producing a great advertisement and instructive video as a strong supplement for the website and sales teams. 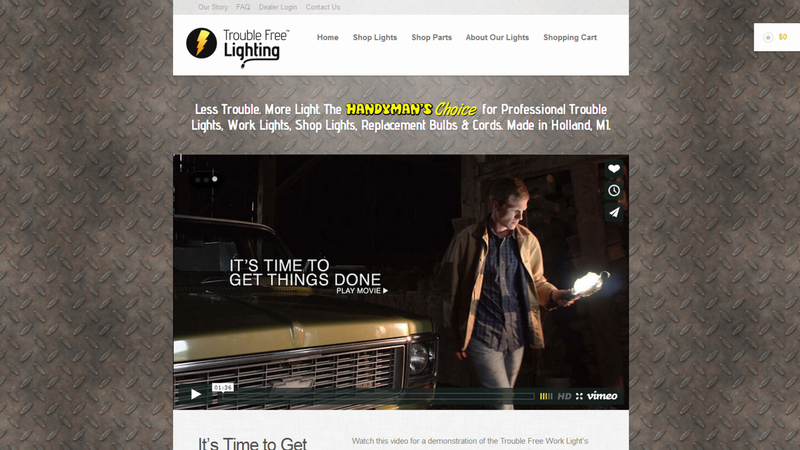 You can view the website at troublefreelighting.com. The site's home page includes featured products, best-sellers and a great video advertisement from Boileau. Watch the video from Boileau. 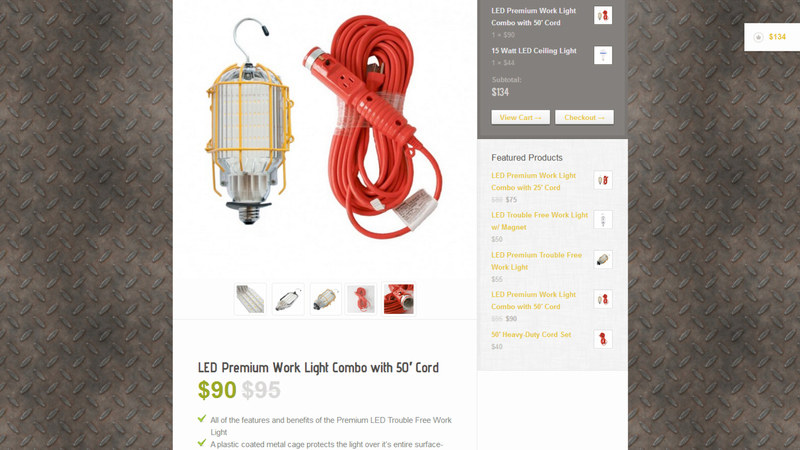 SIngle products pages features large, HD product photography and detailed product informaiton. 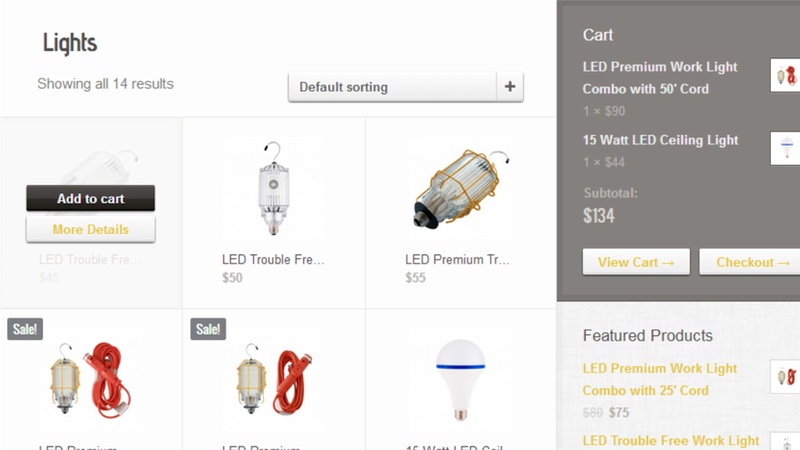 Sales pages offer sorting options, quick add to cart pages, and a cart widget to help users track their purchases. 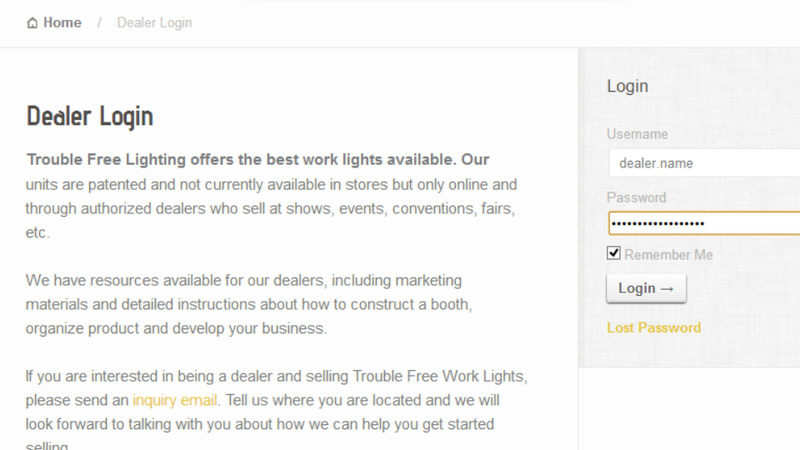 Trouble Free Lighting also needed support for their dealer network, which is why we built a user-access-controlled section of the website to provide dealer information, sales tools, and events calendars.